As the greatest nation on earth, our citizens should be entitled to the very best healthcare available, regardless of their current health condition or economic status. Since I first ran for office in 2005, I have promoted a plan to modify Medicare and require everyone under the age of retirement to “buy” into the program through their payroll deduction tax. Monthly fees would be based on age, with the younger paying the lesser amount and those over 65 receiving it free. It just stands to reason the greater the number of younger participants the lower the cost of coverage. 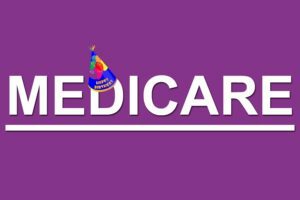 Since I’m currently on Medicare I have personal knowledge of the program and I believe it’s simple and most of all it will work well for all Americans. Not only would you be covered for pre-existing conditions but you could also purchase a supplemental plan for even better coverage, if they so desire. Why dosent’ Medicare cover dental and eye care? Are they not essential to good health or are their lobbies not as strong as the medical and pharmaceutical industries? We need to change this!